Great documentary of a group of FPV quadcopter racing enthusiasts by Seeker Stories. Interviews with members of the fast growing community of drone FPV (First Person View) racing and the formation of racing leagues in a hobby that is set to explode and maybe someday become a real sporting event. 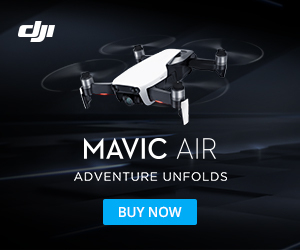 And with the incredible speed of technology advancement and experience a racing capability taking place, fpv drone racing is continually being taken to the next level.